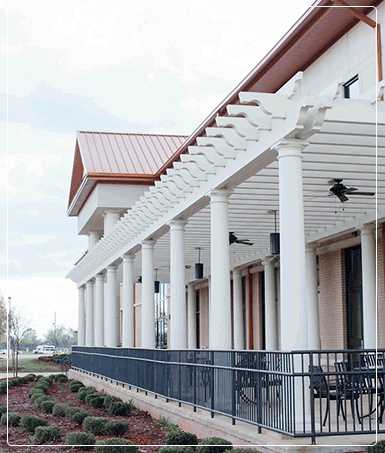 Royal Corinthian has been manufacturing architectural columns, exterior cornice, fiberglass pergolas, and balustrade systems in America for over 24 years. 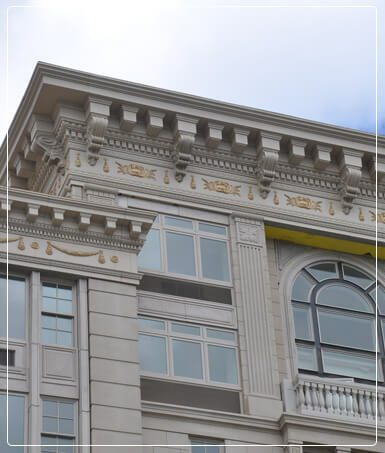 We emulate ancient architecture and insure longevity by making our architectural products only from composite materials that will last for generations. We specialize in fiberglass, FRP, synthetic stone, cellular PVC, GFRC, and high density polyurethane products. Not only are we the only manufacturer that offers all of these materials but our products can be mixed and matched on the same project since we use the same molds for all materials. You can install our synthetic stone balustrades on your front porch and use our lighter polyurethane system on your roof. Similarly, you can use our cast fiberglass columns where you need load-bearing columns and use our FRP column covers where you need to surround structural supports. We have the most versatile product offering in the industry, ranging from premium low-maintenance lines to low cost paint-grade alternatives. 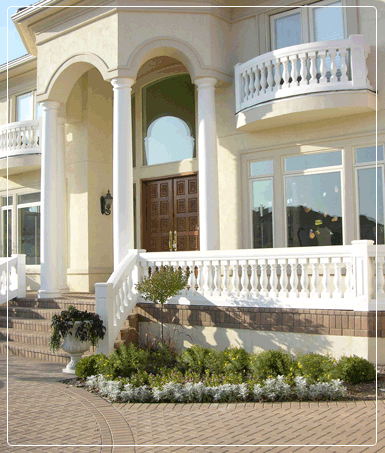 Our columns are the tallest and widest in the industry and our balusters, rails, and newel posts can be combined to create thousands of balustrade systems in varying heights, styles, and widths. We offer cornice in hundreds of standard profiles as well as custom shapes made to your specifications. Our pergolas can span up to 24' without interruption, come pre-finished in a variety of colors, can withstand hurricane winds, and are pound for pound stronger than steel. We don’t shy away from custom products and welcome all inquiries. With our in-house mold making capabilities, our custom products are fairly inexpensive. In fact, the majority of our products were originally custom so we encourage architects, designers, builders, general contractors, and homeowners to work with our architectural consultants to create something that fits your aesthetic and functional vision. 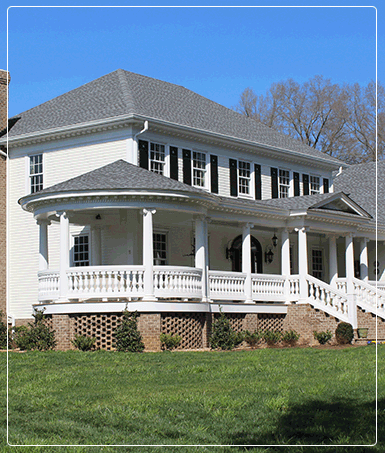 We are the only manufacturing company in the industry that has manufactured and installed our products which gives us far more insight into the nuances of composite building materials: Shop confidently as we know our products inside and out; we are true architectural experts on the products that we make right here in America.